The Viet Nam Association of Seafood Exporters and Producers (VASEP) has predicted the export value of tra fish will reach US$2.4 billion this year, up from $2.3 billion last year. According to economic experts, this number is feasible because the US-China trade is impacting many economies, including Viet Nam, but has had a positive impact on some export products. The tra fish industry is poised to benefit from increasing Chinese demand for seafood products. When the Viet Nam-European Union (EU) free trade agreement (EVFTA) comes into effect, tariffs on both raw and processed tra fish entering the EU will be eliminated. They currently stand at 5.5 per cent and 7 per cent, respectively. However, VASEP Deputy General Secretary Nguyen Hoai Nam said tra fish exports still face challenges, including import control programmes in Europe and the US. To improve quality of tra fish exports, deputy director of the General Department of Fisheries Tran Dinh Luan said the department is working with businesses to build a brand for high-quality tra fish fillets and improve processing technologies. At the same time, they will promote the processing of products with high added value and reduce the amount of waste created in the process. To do this, the fisheries sector needs to invest in technology and make the best possible use of raw materials. Luan said Viet Nam’s tra fish processing plants meet the standards and regulations of demanding markets like the US, Japan and the EU, so the goal now is to promote products with more added value. The association said that last year, the industry’s export value set a new record high of $2.3 billion, a year-on-year increase of 27 per cent. 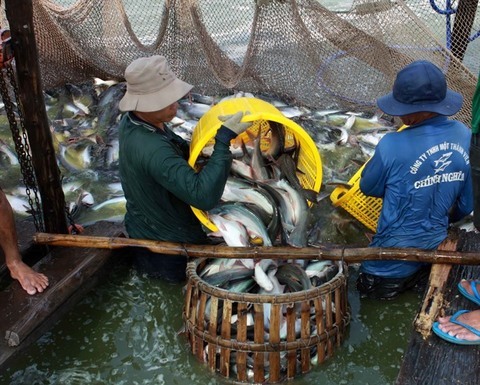 The US has returned to its position as the largest import market for Vietnamese tra fish with export value of $549 million, a year-on-year surge of 60 per cent. Demand in the US is expected to be stronger this year, so prices should remain high. Mainland China and Hong Kong ranked second with export value of $529 million, an increase of 29 per cent. The VASEP said these markets still have room to develop thanks to the large demand for many kinds of fish products at different prices and the availability of convenient transportation to these areas. After a long period of stagnation, exports to the EU last year also showed signs of recovery with a value of $244 million, up 20 per cent. The leading European consumer markets for Vietnamese tra fish last year included the Netherlands, Germany and Belgium with growth rates of 33 per cent, 11 per cent and 12 per cent, respectively.